We’ll provide high-quality materials for your kitchen renovations in Clermont. Kitchen renovations can easily become overwhelming unless you have the right team on your side. At The Gallery of Stone, we understand that there are a lot of decisions to be made when you are updating one or more rooms in your home. Fortunately, when you come to us because you are interested in kitchen renovations, we’ll do everything we can to make the process as hassle-free as possible and help you achieve results you love. With kitchen renovations, not only do you need high-quality countertop materials, but you also need quality services that ensure your entire kitchen is outfitted appropriately. Our team at The Gallery of Stone has over a decade of experience providing our customers with the services and solutions needed to recreate their kitchen areas. If you are investing in kitchen renovations, then you want the job to be done right. That’s why you can rely on us for the products and services you need to create the space you have envisioned. At The Gallery of Stone, we are a family-owned and operated business with a large selection of styles and colors for you to choose from for your new kitchen renovations in Clermont, Florida. 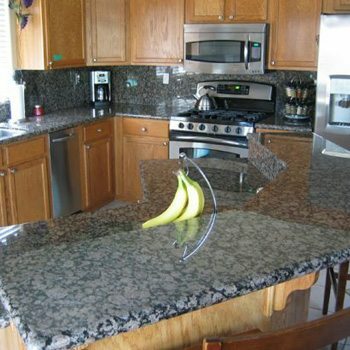 We are even a direct granite fabricator and can help you choose the materials that will offer long-lasting beauty and function in your home. When you work with us on your kitchen renovations, you’ll find that the process goes smoothly and we will be with you at every stage. Contact us today to schedule your free estimate, or stop by to discuss your design plans.